From complete beginner to the seasoned white water river paddler if you want to learn more then we can help. 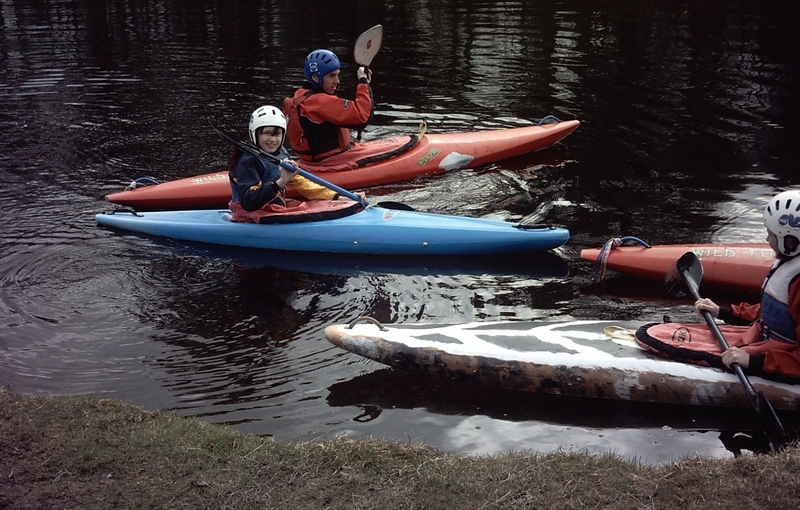 Our kayak & river kayaking sessions & courses are generally instructional based and are aimed at developing your skills in a fun and safe environment in the clear waters of Loch Linnhe (tidal) or Loch Lochy to start with. Our excellent qualified instructors that are enthusiastic and experienced to ensure you are safe and get great value for money at whatever level. These sessions & courses are normally run over a weekend, however you may wish to arrange different dates to suit your requirements, simple contact us and let us help you arrange your course. You will do plenty of paddling and by the end of the day or weekend you will have a good foundation to progress in the sport of kayaking. We believe in having fun whilst learning to help you improve and perfect your new skills. 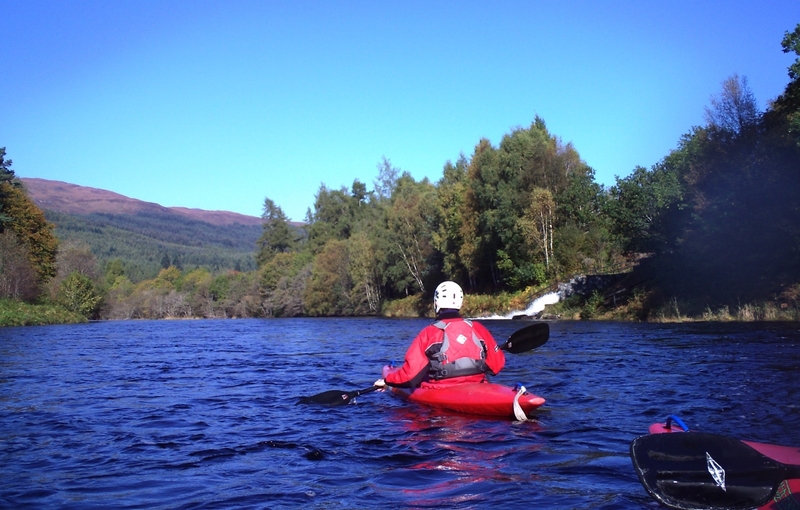 Our improver kayaking courses are run in ideal locations on freshwater inland lochs & tidal locations to enjoy the thrill of learning a new skill. This is an opportunity to move onto easy moving water or rapids of up to Grade 2. Our white water kayaking introduction course is for kayakers who wish to try their skills on white-water, or for novice white-water paddlers who are looking to build confidence and control by improving and refining their technique. We aim is to coach you in white-water skills and techniques like breaking-in and out of the current, ferry gliding across the current and surfing on standing waves and small stoppers. 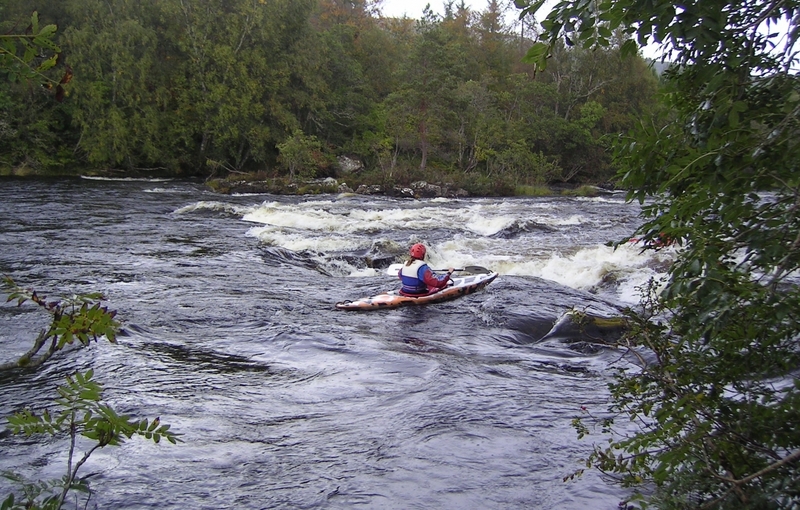 River reading, rescue and safety on white-water are all an integral part of the coaching. There is a range of rivers to choose from. The location for each day will depend on the weather conditions, the level of the rivers & previous experience of the group. We have accessible, local rivers from Grade 1/2 to Grade 4/5 – all within a 1 ½ hour drive at the maximum.